In order to return employment to pre-recession levels and restore consumer demand, millions of additional jobs must be created. At the pace of current job creation, it would take many years to reach full employment. 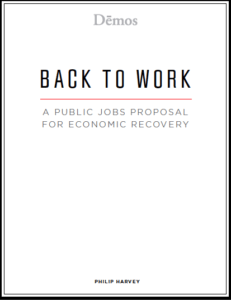 This report makes the case that we should create jobs for the unemployed directly and immediately in public employment programs that produce useful goods and services for the public’s benefit. The public sector can directly create jobs quickly, serve vital community needs and target those hurt most in this economy. Projects would generally be undertaken by the federal government and agencies in partnership with local governments and should be guaranteed reasonable pay and benefits. A direct public jobs program is cost effective. $100 billion spent to directly hire American workers would create 2.6 million fulltime jobs over two years, compared to just 136,000 jobs for $100 billion in tax cuts or 714,000 jobs for $100 billion in benefit increases. A direct public job program puts Americans back to work now. Public jobs have “time value” because they are jobs created immediately. 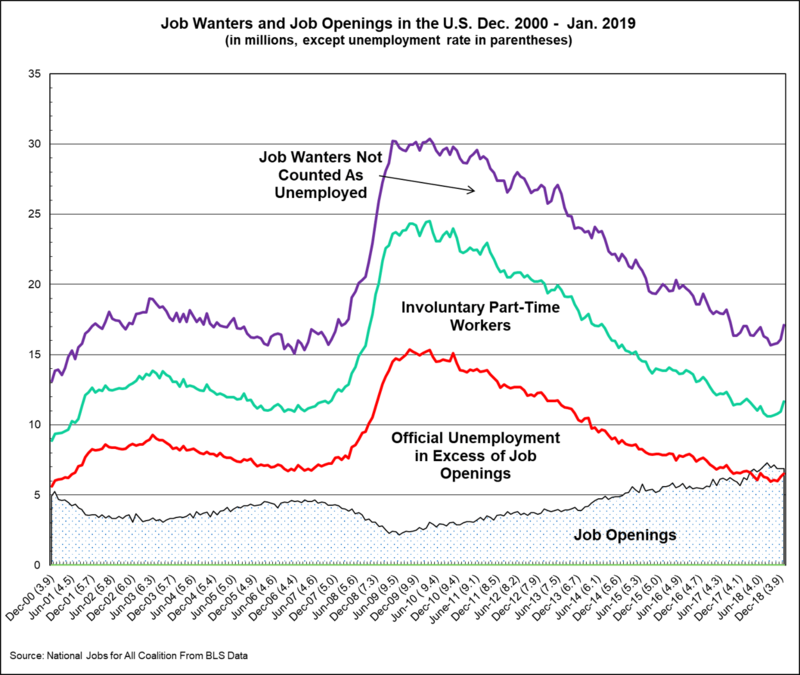 Tax cuts, benefits payments and other indirect stimulus approaches do not start “working” on job creation immediately. A direct public jobs program is targeted to those who need jobs most. The undeserved pain of this economic crisis has not been felt evenly. A public jobs program is designed to target job-seekers, reducing inequality and blunting the most extreme suffering. A direct public jobs program meets vital national and community needs.Putting Americans directly to work and in areas such as health care, child care, education, recreation, elder care, and cultural enrichment could expand and improve the quality of these vital public services. Work upgrading our physical infrastructure is also needed. Direct job creation is affordable. Repealing the Bush tax cuts would provide enough revenue to fund the creation of 8.2 million jobs.